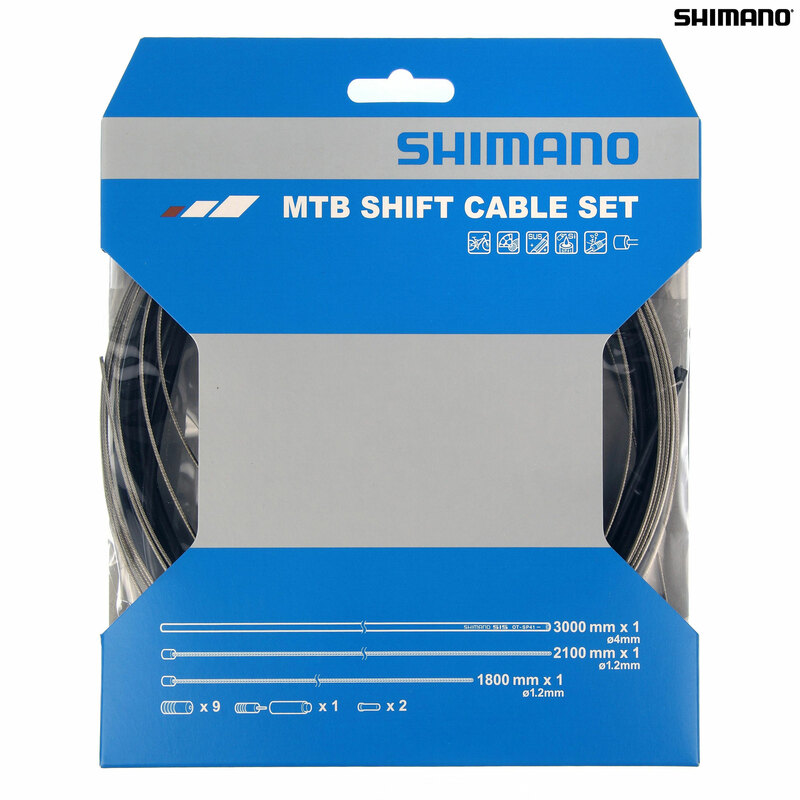 Complete MTB gear cable set with all you need in one handy pack. Fitting new gears or completely overhauling your gear cabling couldn't be easier - everything you need in one pack. - Includes 1.2 mm inner wires (1 x 2100 mm, 1 x 1800 mm),and black 4 mm SP41 outer casing for a complete bike (1 x 3000 mm), and sealed outer caps one with added tongue for rubber shield plus inner end caps. - Stainless steel precision ground round inner wire leaves a smooth surface for low friction while providing high corrosion resistance. - Outer casing is lubricated internally along its length with low-friction silicone grease to reduce cable friction. - Special construction process makes for an axially stiff outer casing that transmits shifting movements accurately and quickly.